In May, Specular Assembly – a collective I am in – put on an exhibition at The India Club on the Strand. The seven of us inhabited the public space of the hotel, and riffed off the rich history and architecture of the place. Every day I would travel home across Waterloo Bridge, enjoying the view and thinking about the effect the proposed Garden Bridge would have upon it. It was a couple of days after demounting that I had the idea for A Folly For London. I could visualise the bridge’s proposed location because I had looked at the planning documents and have a background working in architecture – but most people I spoke to had no idea. 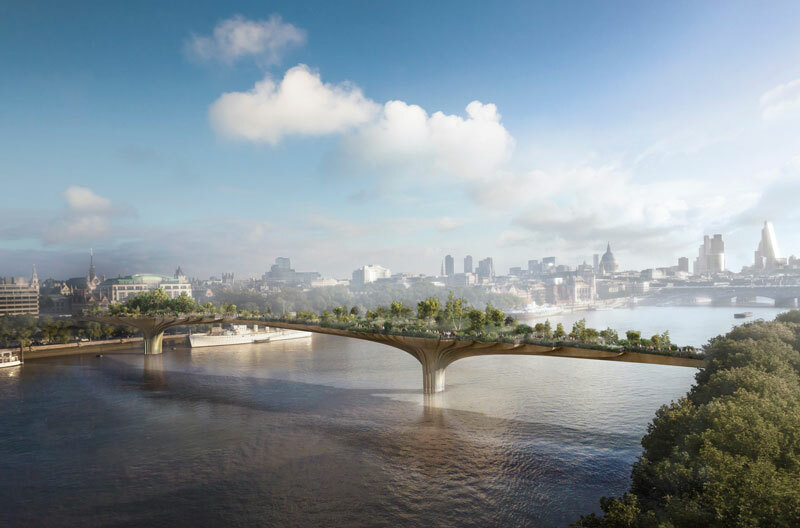 They had a vague notion that it was connected to Joanna Lumley, they knew the phrase ‘Garden Bridge’ and had seen a widely shared render from the perspective of some imaginary drone in the sky. But nobody really knew the precise location, the impact on existing views, the environmental greenwash and the issues related to it being a private space built on public land at huge public expense. This is not the fault of the public: the blame lies entirely with the organisation behind the project, and the local authorities that appear to have little interest in genuinely articulating to the public the pros and cons of the idea. Instead, the scheme has been pushed through planning by an overly eager mayor, a local authority keen to add to their tourist bling, using a Transport for London (TfL) procurement process that is now under investigation. The kernel of an idea came into my head, which I mentioned to a friend who was involved with Thames Central Open Spaces (TCOS) in campaigning against the bridge. She understood it straight away, told another friend who also got it, and that nugget of an idea quickly grew. 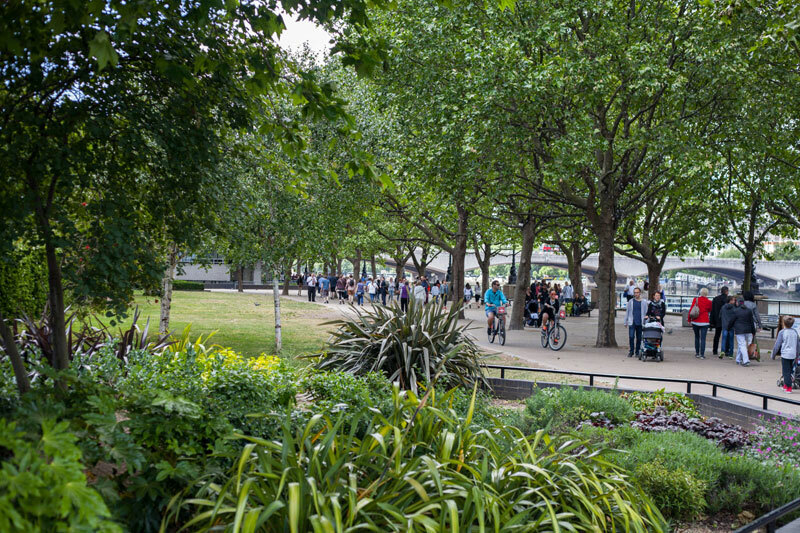 A Folly For London is an open-to-all and free-to-enter architectural competition that invites people to design their own folly for the public land that could be lost to the Garden Bridge. The site is set to be built over with commercial units, a queuing system and corporate entertainment areas – but I want your alternative designs for absurd, ego-driven, nonsensical and expensive follies that London clearly doesn’t need. I want to see if you can come up with something as fundamentally flawed and potentially damaging as the Garden Bridge. Five weeks after my initial idea, the project has snowballed. It has led to significant public engagement, spreading over social media and via a website that houses numerous articles outlining the political, environmental, financial and aesthetic issues. It has encouraged the kind of open exploration and discussion that should have been offered from the outset. Politicians, including Natalie Bennett and Diane Abbott, have also lent their support, concerned by the fact that the austerity Chancellor and the Mayor of London want to dip into TfL funds for a project that offers little transport infrastructure or benefit for Londoners. But essays, politics, rage and a clued up citizenship can only go so far in any protest movement. Humour is also useful, not least in a country that has such a rich history of political satire. 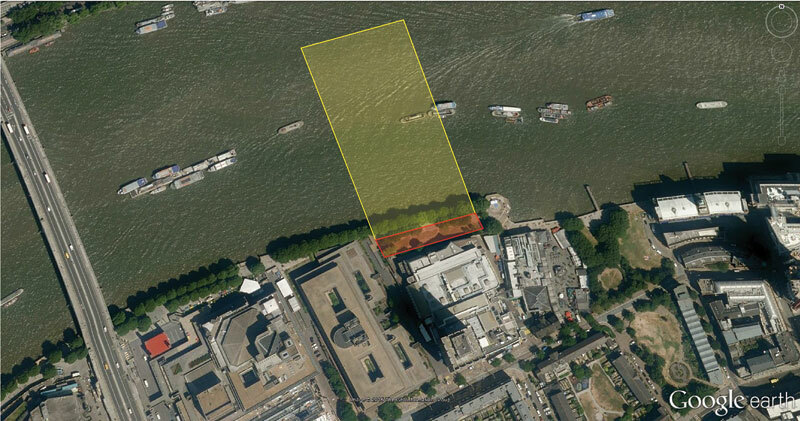 This is, perhaps, why A Folly For London has caught people’s imagination. By not giving the Garden Bridge the total respect it craves, by treating it as an absurd project, by laughing at Folly schemes and judging their stupidity against that of the Garden Bridge, it can cut in a way that rage can’t. It also offers a platform for people to imagine the city and community that they want to live within, if only to turn that vision on its head and transform their ideals into a dystopian monument. The competition for A Folly For London opened on 7 July and runs to 28 August, when it will be followed by a physical and online exhibition of the shortlisted entries. A panel of judges including Owen Hatherley and Natalie Bennett will select an overall winner and a Greenwash winner.